I love that I can leave things like Father’s Day cards and crafts to my kids’ teachers. On Friday, both Vivian and William brought home the worst-kept secrets ever: bird houses they painted and built in their Grade One classrooms. They also brought home letters to their dad. Here is William’s note. You can see my transcription (and interpretations) below. I like shooting bask[ets] with you and playing soccer with you [especially when you I score on you, like I did at last night’s parents vs. children soccer game]. 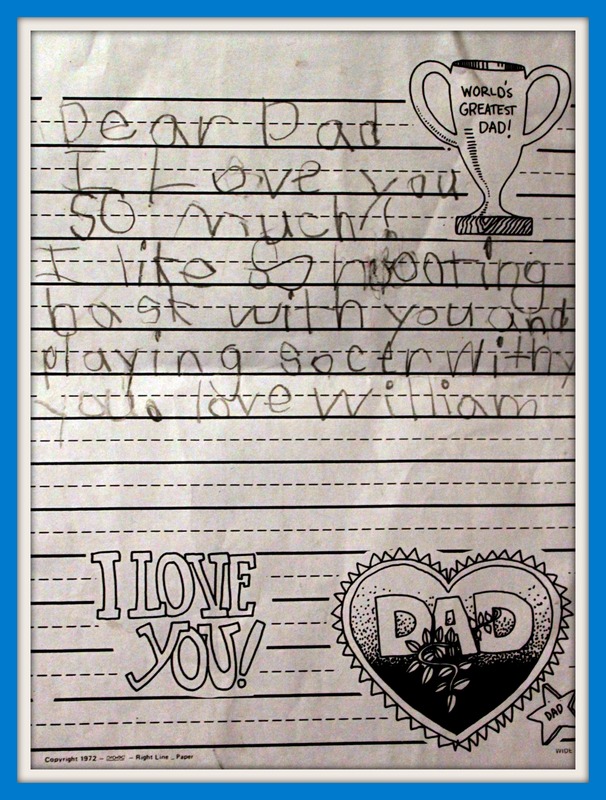 love william [who needs capital letters? e. e. cummings didn’t]. Thank you for making my life better in the past few years [even though those first four years were very rough]. You buy us things we like [way too much according to Mom], and you play with us.You love us too. Wow dad I don’t know how you do that [but I plan to google it soon]. You would get a trophy from me…You will! [but Mom doesn’t like letting any more stuff in the house]. Love you[r] daughter Vivian [you know, in case you were thinking I was someone else’s daughter]. 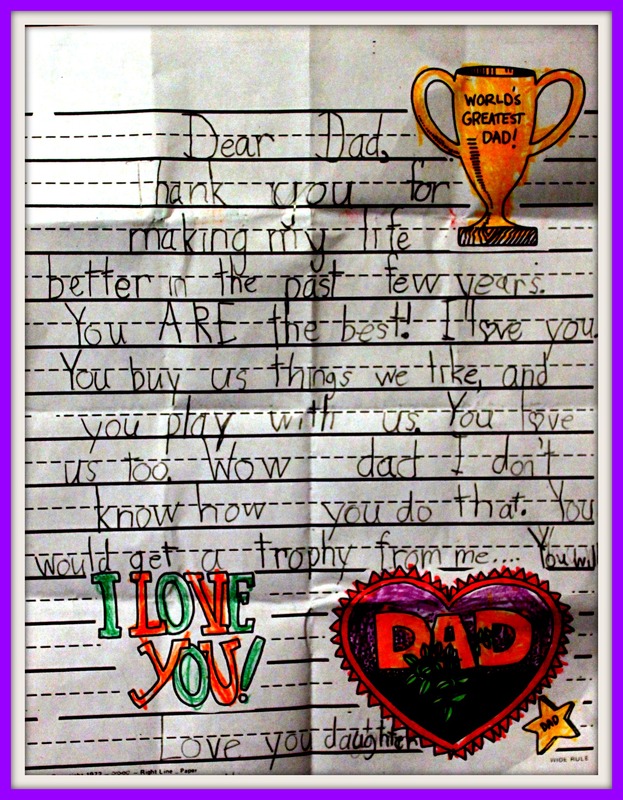 Posted on June 23, 2011, in For Dads, School Assignments, Views of Adults and tagged Chase McFadden, Father's Day, funny, Grade One, Humor, kid writing, Leanne Shirtliffe, Stuff Kids Write, StuffKidsW, twins. Bookmark the permalink. 5 Comments. Your kids have about the most apparent personalities ever. Comes through in everything they do. Love the commentary. Too funny! I love the personality differences in your kids and your added comments. It’s great to start the day with a smile. And coincidentally, 44 minutes daydreaming about Decepticons has kept me from a great deal of writing. I’m with ya, William. You’ve got awesome kids, Leanne. They make me laugh.